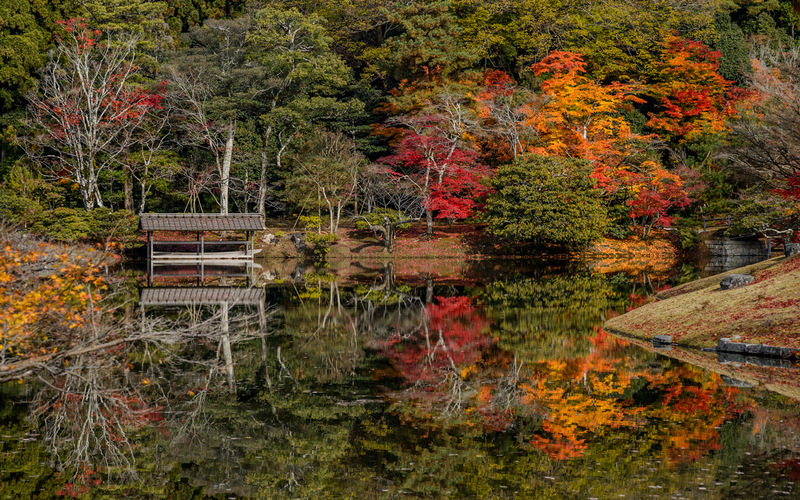 The fall-foliage season is in full swing in Kyoto, and with the number of photos I take in an outing I'm quickly filling up my laptop's disk. So before I can even look at this year's photos, I need to make room for them by cleaning up prior years' stuff. I've spent the last couple of months going through my photos from 2012, and have worked my way through to late November 2012, and my first visit to Kyoto’s Shugakuin Imperial Villa, and realize that I hadn't even looked at all those photos yet. So, here are two more from that trip. My wife and I took the 9:00 Shugakuin tour on October 27, 2014. We were blown away. I think it is the second best site in Kyoto, after Katsura. The foliage was partially colored, much more than in central Kyoto, Sento, for example, which we also saw; it was lovely. I think I like the muted effect more than the later brilliant red, which can seem more Chinese than Japanese. We were the only non-Japanese on the tour, which allowed us to dawdle as the guide did not have to wait for us to start his spiels. We could start our English audio guide en route to each site and be informed when we got there. The trailing, burly cop was tolerant of my aged plodding. I am writing from New York City, where we live near Central Park. The foliage is also great there right now, but the effect is very different from Shigakuin as the park conservators have made a point of planting as many different types of trees and shrubs as possible. 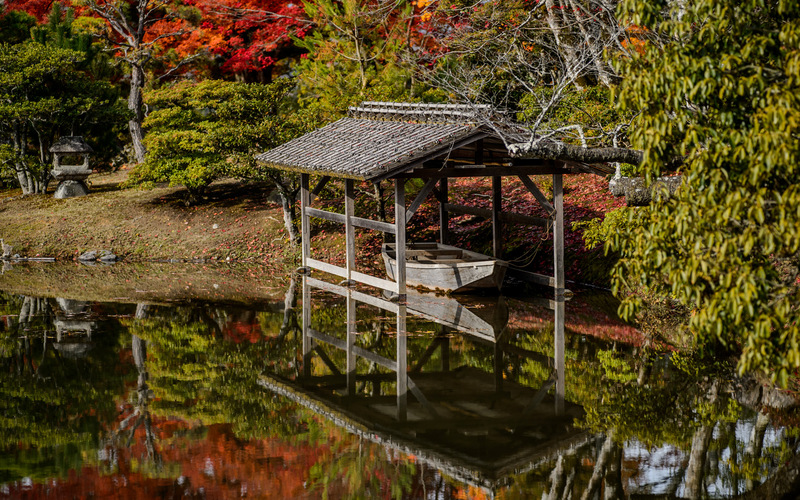 It is not at all like a Japanese garden where a huge amount of planning and work goes into making it look like a natural site where no work has been done, except for a few modest buildings and bridges. And, of course, the “borrowed scenery” is very different.